On a quiet residential street in Haledon, N.J., one house stands out from its neighbors. It is taller, more stately, and much older. And it is a national landmark because of its role in the history of the American labor movement. The Botto House was the rallying point for the 1913 Paterson silk strikers. Forbidden to assemble by Paterson authorities, they were welcomed to Haledon by its sympathetic socialist mayor William Brueckmann. The Bottos, an Italian immigrant family of textile workers, offered their home as a place where strikers could assemble safely and where strike organizers and sympathizers could meet. Among the people who spoke from the balcony of Botto House were International Workers of the World founder Big Bill Haywood; Irish immigrant Patrick Quinlan, who was one of the organizers of the strike; Elizabeth Gurley Flynn, who later became a founding member of the ACLU; and muckraker author Upton Sinclair (“The Jungle”). As many as 20,000 striking silk workers attended the Sunday rallies in front of the Botto House. The 1913 strike included about 24,000 workers. It was a general strike, including women and men, skilled and unskilled, immigrants and English-speakers. 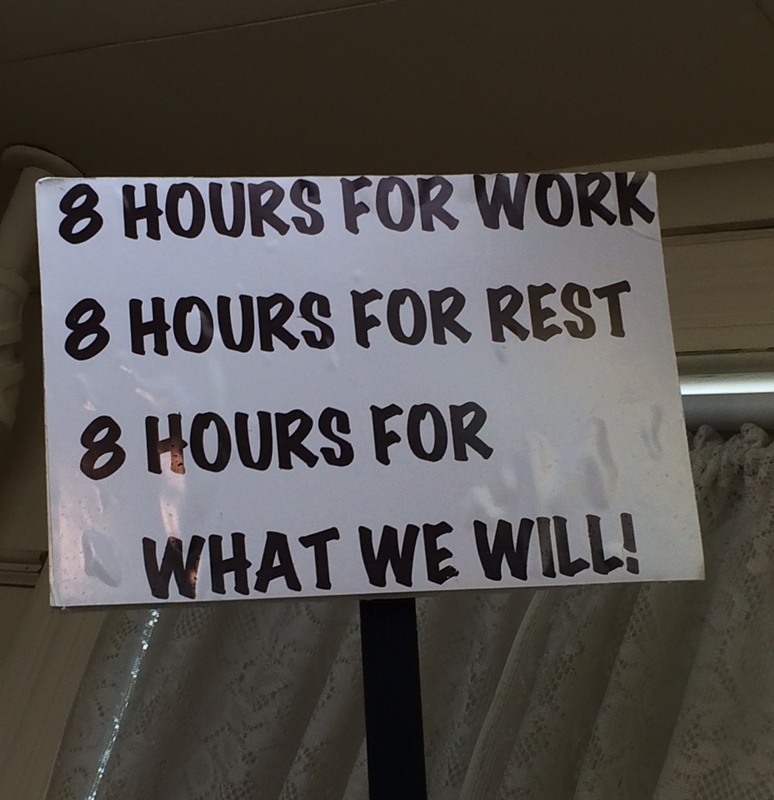 The goal of the strikers was an 8-hour day. Pietro Botto, who owned the Haledon house, was himself a mill worker who worked 10-12 hours a day, 5-1/2 days a week. Eventually the manufacturers outlasted the strikers and they went back to work. Some of the textile shops offered concessions, including reducing the work day from 10 hours to 9. Pietro and Marie Botto and their daughter migrated from Biella, Italy, in 1892. They were part of a larger movement of weavers as what had been a cottage industry was consumed by industrial production. The Bottos first settled in West Hoboken (now Union City). After 15 years of working in silk mills and adding three more daughters, the family was able to purchase the house in Haledon which was known as a “streetcar suburb” of Paterson. The 12-room Botto house was built in 1908. It was also used by the Bottos as a Sunday retreat for workers, offering a bocce court, card tables and food prepared by Marie and her daughters. 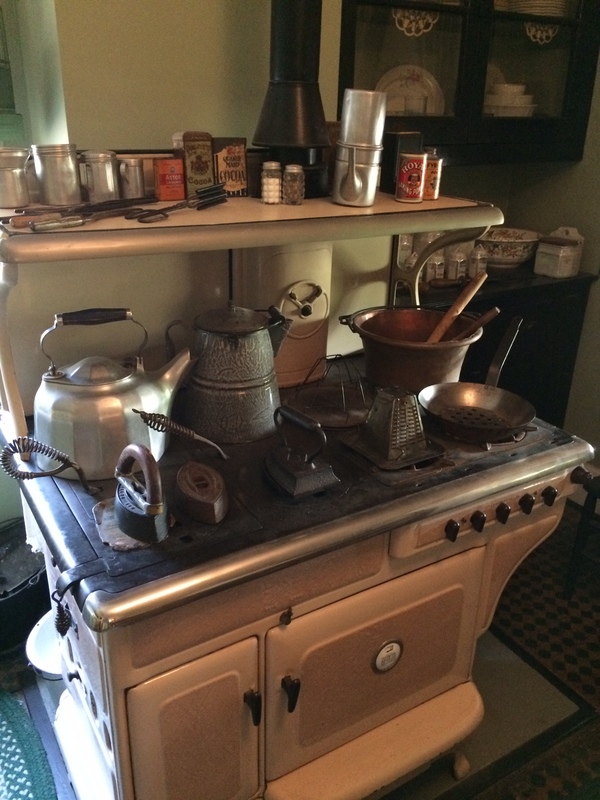 The home has been restored to what it looked like as the early 20th century home of Italian immigrants. The Botto House is now the site of the American Labor Museum. 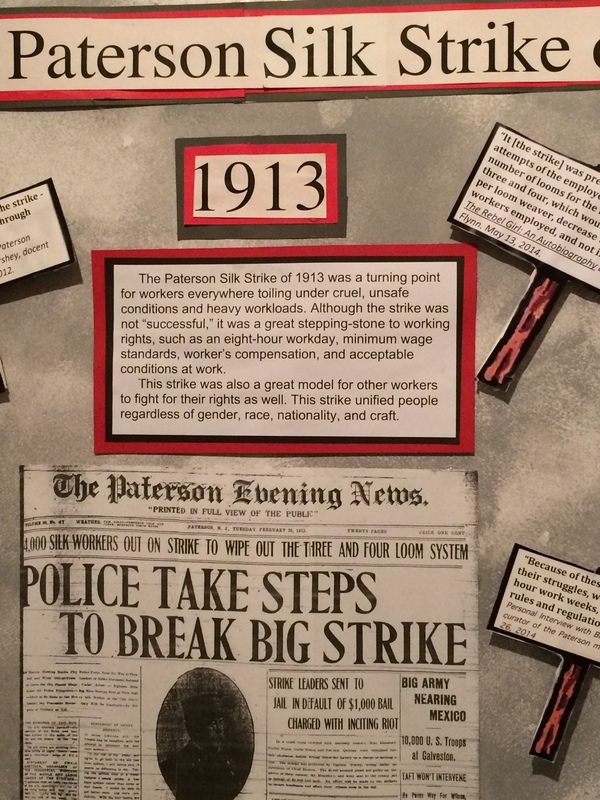 In addition to its exhibit about the 1913 strike it also has temporary exhibits. True to its roots the focus of these exhibits is immigration and labor. 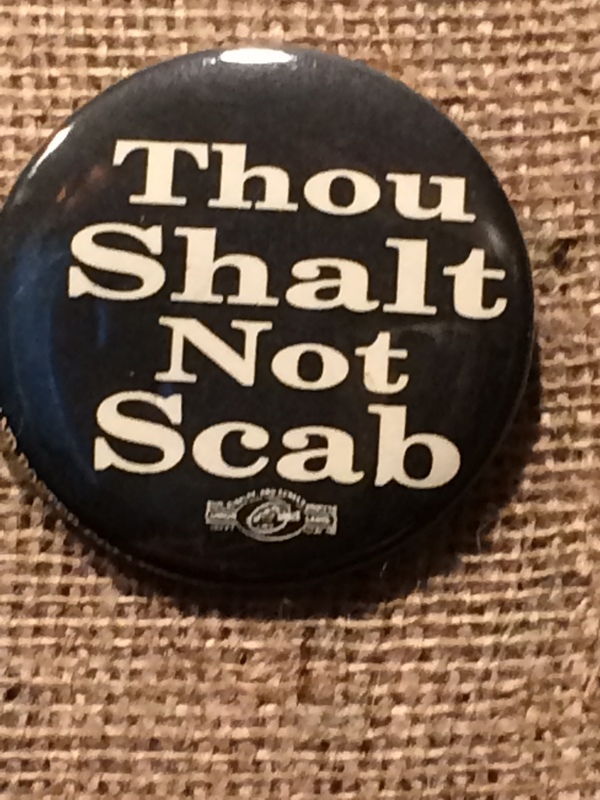 This entry was posted in History and tagged American labor Museum, Botto House, Haledon, history, IWW, labor, Paterson, Silk City, strikes, work, workers. Bookmark the permalink. Fascinating account of the US labor movement..goes to show what a bit of people power can do in the face of slave-driving big business! What terrific images Ken! The labor history is so incredibly interesting and I love that there are folks who see preservation as an important mission. We need more people remembering people like the Bottos who have enriched this nation. This is an interesting bit of history. 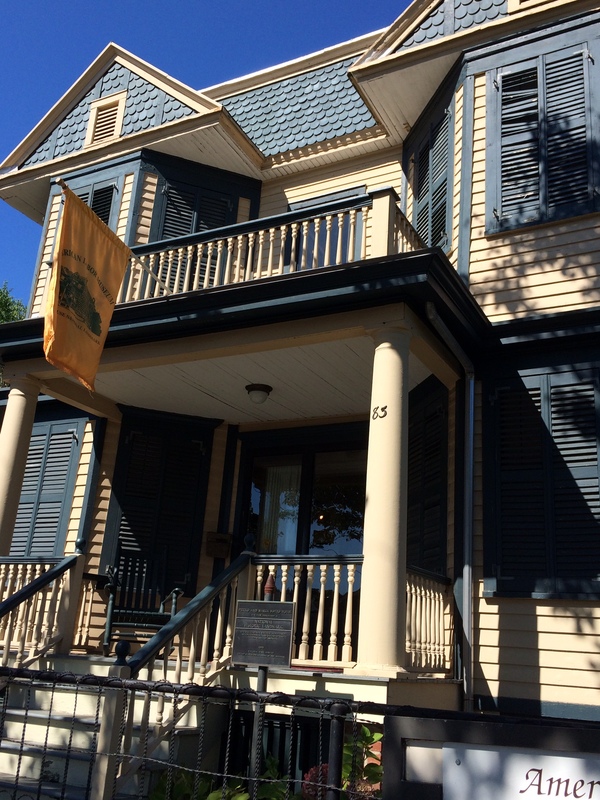 And the Botto House seems a fitting setting for the American Labor Museum. It is nice that Botto House from 1913 is still preserved and I am amazed to see that the wood last so long. The labor movement is important part of history and I feel this Italian family was kind to offer people a place to come, sit and devise some strategy. BTW, when I read Botto House, I thought about Bhutto house :). (may be you hav eheard about Benazir Bhutto). Yes I know of Bhutto and can see why you would make that connection. Hi Ken, the Botto house is beautiful, just the type of house I would love to live in, even with the woodstove in the kitchen. So nice that you shared these pictures. With all the support of the labour movement shown by the Botto family, it’s even more interesting that their house now is the Labour Museum. Great share. I must comment on the fantastic images! What great work! I would love to live In this house myself, the craftsmanship is fantastic, also love your writing! I love these kinds of historical posts as it is just so fascinating to me the things that have gone on in the world that receive very little attention yet are big deals to many. Thanks for bringing this bit of history to life via focusing on the Botto House. At times, it seems the debate over the “proper” hours of number to work will never end. Yes. I think we’ve been sliding backwards a bit on this issue. Good things they saved those old 8 hour signs. I like this post. You have brought up the topic of labor movement quite well. 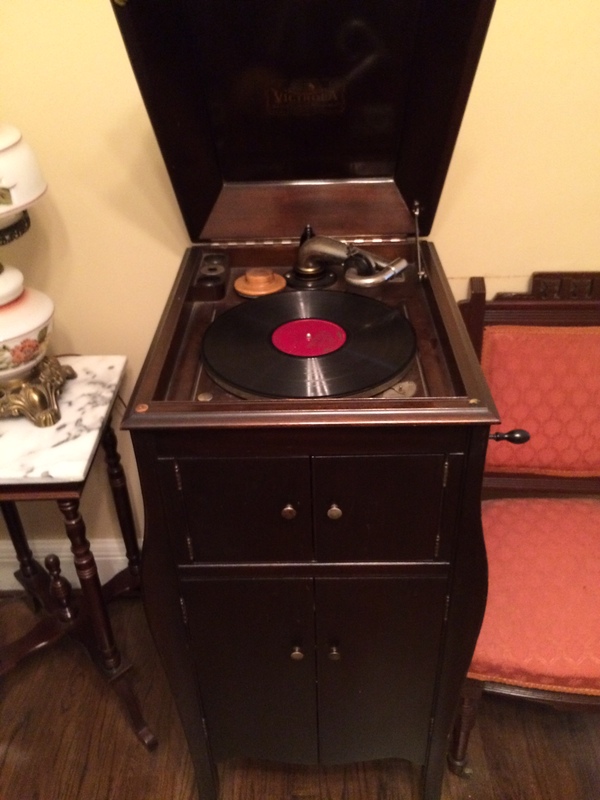 I enjoyed learning about the Botto House. 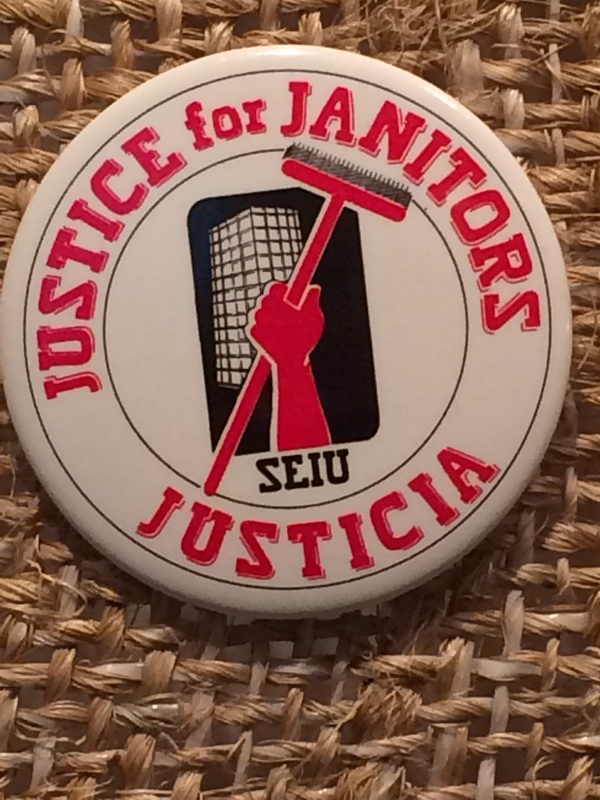 What a great story about the family who loaned their space to help with the labor battle. I’m glad the house has been preserved and that it houses a museum. I’d like to visit it. What a hundred years, back then people fought for rights, now politicians are trying to get break the unions, and send us back to days of the sweat shops. We should not forget. It’s high time Americans start going on strike again. People working on low levels at McDonalds and Wal-Mart in your country definitely should. Their wages are so low they can’t even survive on them. If they were in a poor developing country it wouldn’t be surprising, but in the United States it is a disgrace. You’re right Caterina. Some of the same issues that the IWW fought early in the century are presenting themselves again. I love history, especially when I can actually see and touch it. When there is a house such as this one I can connect the actual events to what ever I’m looking at. Thanks for sharing. Interesting post, I really love history and appreciate how it informs our world today. This was a very interesting and pivotal time in our country. Thanks for sharing. Have a great weekend! Hi Ken! I love the way you draw us in with a description and image of the house. History is hard for me. Just like the news. There’s so much sadness in it. There is something whimsical about this house that has such a rich background. That house still looks very lovely. The story of people who made the way for those who came after to have better conditions is an inspiring one. I’ve never heard of the Botto family and I’m an Italian-American form New Jersey! My grandparents were first generation Italians who were part of the labor force. We owe so much to all the hard working people who dared to dream .